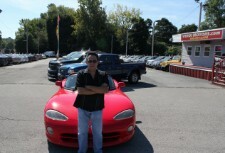 Meet the Staff of Verdi Motors Inc. Welcome to Verdi Motors Inc. Online. We are located at 1811 SOUTH RD in WAPPINGERS, NY 12590. Please call us at 845-297-2277 with any questions or to arrange a test drive. You can Apply for Finance on our site safely and securly.